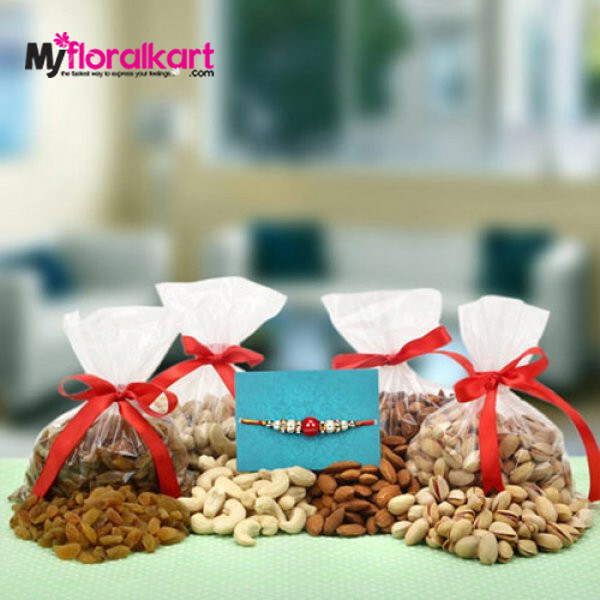 There is more to the occasion of Rakhi than just tying a rakhi about your dear brother. Alluring foods are a key part of this occasion and this pack makes up for this with its packs of raisins, pista, cashew, and almonds. As this set is set by courier you’ll receive it a week from the placement of order.